Remote access is a major benefit and risk for video surveillance. It is a benefit because it allows users to manage security or review operations at home or on the road. It is a risk because it potentially opens up security systems to public attack, especially when companies have serious cybersecurity vulnerabilities (e.g., the recent widespread Dahua hacks). Video surveillance used to literally be 'closed' circuit TV (CCTV). 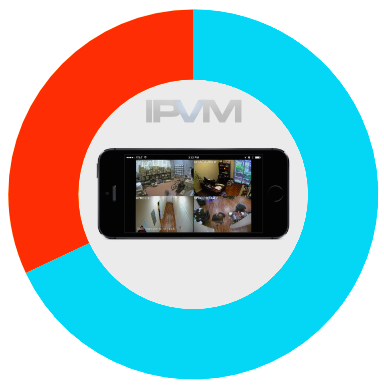 However, new IPVM integrator statistics show that overwhelmingly systems are providing remote access. We analyze integrator responses on this topic and provide details on where remote access is nearly a given, and where it is practically non-existent. We also examine manufacturer responsibilities around remote connectivity enablement in their products. ****** ****** ** * major ******* *** **** for ***** ************. ** ** * ******* because ** ****** ***** to ****** ******** ** review ********** ** **** or ** *** ****. ** ** * **** because ** *********** ***** up ******** ******* ** public ******, ********** **** companies **** ******* ************* vulnerabilities (*. *., ********* ********** ***** *****). ***** ************ **** ** literally ** '******' ******* TV (****). *******, *** IPVM ********** ********** **** that ************** ******* *** providing ****** ******. ** ******* ********** ********* on **** ***** *** provide ******* ** ***** remote ****** ** ****** a *****, *** ***** it ** *********** ***-********. We **** ******* ************ responsibilities ****** ****** ************ enablement ** ***** ********. "***% **** *** *** for ** ***** *****"
"***%. **'* ****** ** the *** ** ***** wish ****." "**% ******* ****** *** our ******* **** ** remote *******"
"******** **% **** ****** access. ****** **** ** know **** ******* **** they ****’* *****." "**%, ********* **** ** be **** ** *** what ** ***** ** when **** *** *** there." "**%. **** *** **** to ** **** ** see ***** ******* **** their ****** *******"
"** % ******** ***** to ** **** ** have ** *** ** their ***** ** **** there ****** *******." ****** **** ***% ** them, ****** ******* ******** has * ********** ** tablet *** ** **** want ** **** ** eye ** ******, *** also **** ** *** clients *** ***** *** they ****'* ****** ** the **** ** **** want ** ** **** to **** **** ********** is ***** *** ***** etc **** **** ****, to **** **** **** driving *** ***** ** check **** ****." "****** *** ** ****. People *** ** *** move. **** ** ***** other ******** ******** *** available ******** ** **** expect *** ******* ** be *** ****." "**** ***** ** ******* have ****** ******* *********. Since ** ********* ***'* have ****** ** *** end ****'* ********, **'* often ** ** *** IT **** ** *** user ** ********* *** firewall. **** **** ****** into *** ********* ** whether **** *** ********* enough ** ** **." "******** **% ** ******. Most ** *** ********* want ** **** ****** access *******, *** *** approval *** ********* ** dependent ** ***** ** department." "**% ***** ******** ** 100% - *** ** some ***** *** ********* IT ********** ****** ******. they **** ** ***** things *** ** *** alerts *** ***** ****** out.  *** * *** of ********* ** ***** customers ** ***** *** their *****." "**% *** *** ********* ease ** *** *** us ** ****** ****** for *******/**********." "***** **% **** ****** access. ****** *** ******** staff ** ******* *** site, ****** ** ** for ****** ******* *** management." "**% ** **** **** and ****** ************** ****** hard **** *** *** customers *** ***** **** a ***** **** *** remote *******." "**% **** ****** **** the ********* ********** ***. 50 / ** ********* remote ****** *** ** to ******* / ****** the *******." "***% ******** ** *** up *** ****** ****** / *******. ** *** for ***** *** ******* purposes, *** *** ****** management, ********** *** *************. All *** *** ******* are ** *******/*********** ********** and ** ********* *** the ********* *********." "**** **** * ******* of *** *********. **** of **** *** ********** providers *** ** *** want ** **** ** the ******* **********." "**%. **** ** *** customers *** **********, ** remote ****** *******. ** the ********** ********, ***** 1 ** * ****** remote ****** ** *****. Why ** **** **** it - ** ***** managers *** ********** ********* the ******* ** ****/****** issues ***** *** ** site." "*% *** *** ******* of ****** ******* ** WAN *** ******** ******* operation ******* *** **-**% utilize *** ****** ********* for *************** ********." "*%. **** ** *** customers *** *********** ************ and **** **** ****** guidelines *** ******** ************ cameras *** ****." "%** ** **** *******. Most ** ********* *** in ********** ***** *** does *** ***** ** direct ******** ******. ***** customers **** ****** **** forwarding." "** ******* ** ****** segment, ** ******* *** government ******** *** ** security ******* ** ******* are ****** ******** *** internet." "** **** **** **%. The **** *** ********* related *****, **** ***'* want ****** ******." "**** **** *%. *** great ******** ** *** customers *** ***** ******** infrastructure ********** *** ** not ****** ****** ******** access." "**% **** ** *** customers **** **** ******* security ********* *** ** not ***** ******** ****** to ***** *******. ***** are ****** ********** *** Healthcare *******. **** ** our ********** ******* ** utilize ****** ****** *** mobile *********." "*** ** *** ********* except ********* ********** *******/******* remote ******* ** ****." "**%. *** ************ **** of *** ********* *** financial *** ** ** allow ****** ******." "***** **% *** ******** access, **** ** *** customers *** ********** *** that *****'* **** **** in ***** ********** *****"
"** **** **** **%. The **** *** ********** related *****, **** ***'* want ****** ******." "**% *** *******. *** offerings ******* ****** ********** services"
"**% *** *******. ******** more ********* ** *** customers ** **** ********." "*** **** ** *** moment *** ** **** see **** **** ** our ********* ******* *** cost ******* ****** ******* video ********** ********." ***** ********** **** **** manufacturers **** ***** *** remote ****** *** **** greater ************** *** ******** their ******** ******** ** as ****** ****** ** possible. ****** ****** ** clearly *** * ***** or ******** *********** **** manufacturers *** ******* ** an **** ****. *** **** ****** *********** ******* ******,******* ******** ****** *******, ***"**** ** ************"**** **** ************ ****** manufacturers ****** ****** ***** products **** ** ******** accessible **** *********. **** that ** ****, ************* have * ************** ** either **** *********** ********** secure ****** ****** ********** (e.g. : *** ********, *****-***** authentication,* ****** **************, ***. ), ** ** provide ******** ******** **** the ******* *** *** suited ** ***** ******** accessible **** *** ********. ************* ****** **** ********* a ******* *** *********** communicating ***** ********** *************** to *********** *** ***-*****, including ** ******** *********** of *** *************, ***** exploits, *** ******** *****. *** ** *** **** ******, *** **** ** *** ********** (especially ** * *********** ******) ***'* ****** ********** *** ******* part ** ***** ***. * **** **** ***** ********* **** become ********* ****, **** **** ******, ***.